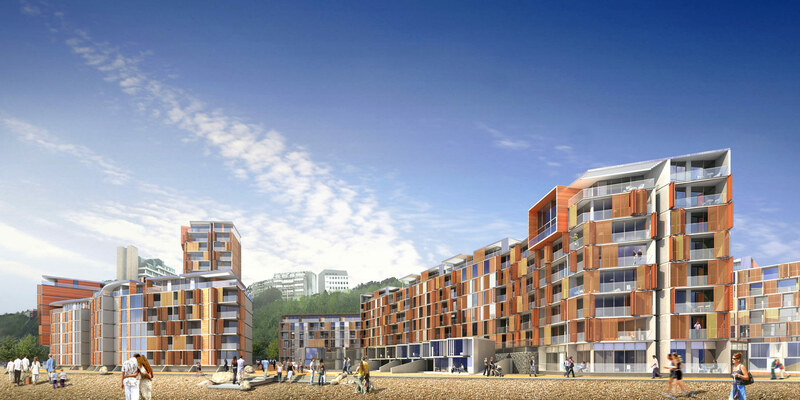 As part of the regeneration of Folkestone this mixed use scheme creates a threshold between sea and urban grain. 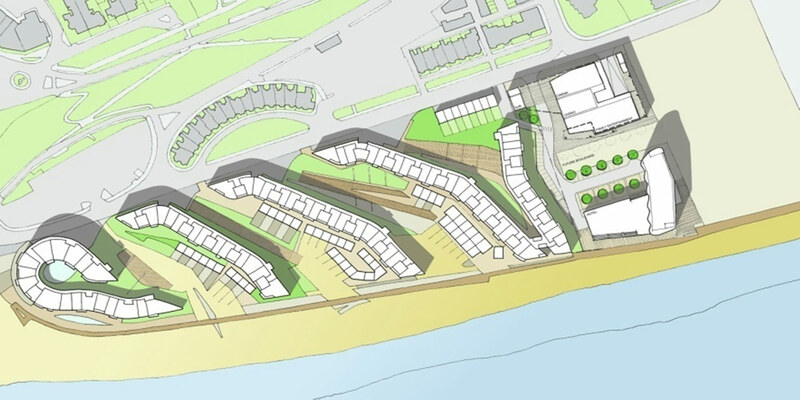 Taking full advantage of the marine environment and southerly aspect the beach is drawn up between the residential wings to create a unique place and complete immersion in the seaside environment. 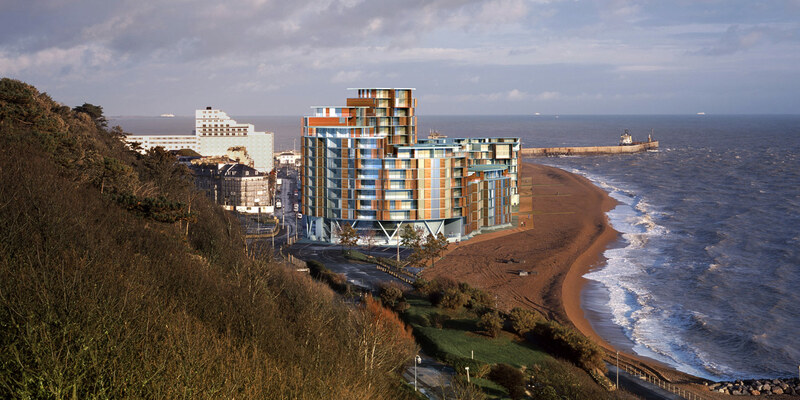 A boardwalk links the development of 600 apartments, hotel and leisure facilities with bars and restaurants to the town centre, funicular railway, harbour and coastal path. The scheme won full support and a detailed town planning permission following comprehensive public engagement and extensive presentation to all stake holders. 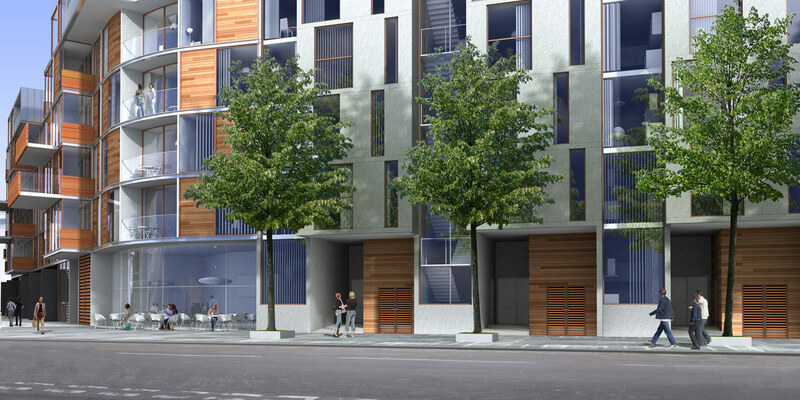 "A stunning scheme on a beautiful but challenging site...successfully navigated through planning to commitee approval achieving a highly valuable asset." Tony Atkinson, Director, Town and Beach. Residential, Retail, Hotel and Leisure. PN Director of Design and Lead Co-ordinator at AFR. Concept to Detailed Town Planning Approval.